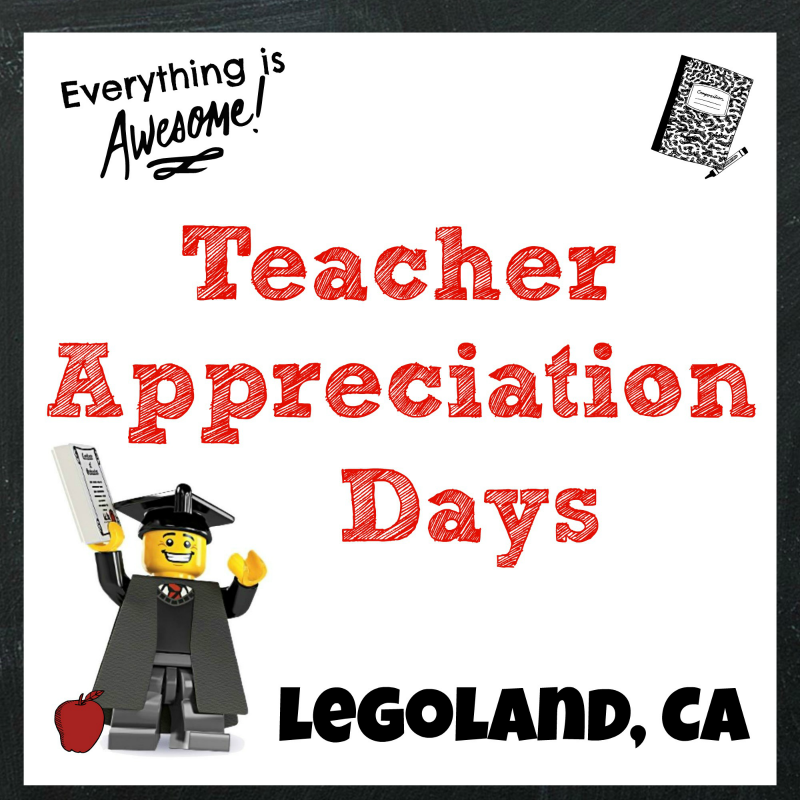 A sponsored birthday post written by me on behalf of Get Air Surf City Trampoline Park. With kids, time just seems to fly by at warp speed. It’s no surprise that another birthday is upon us, and I’ve run out of ideas and time to plan. So this year, I left my darling daughter’s birthday celebration with her friends up to Get Air Surf City Trampoline Park in Huntington Beach. 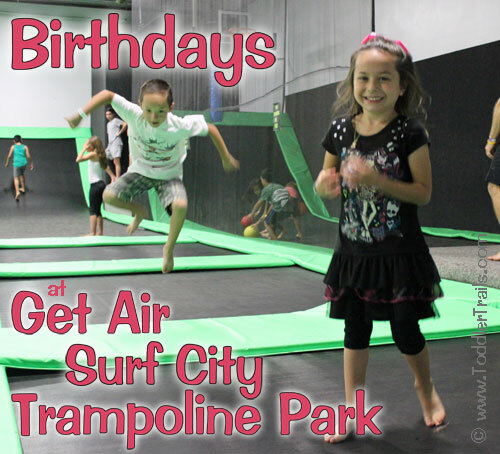 At Get Air Surf City Trampoline Park, planning a birthday party is a piece of cake. You set the date, speak with one of their amazing Event Coordinators who will go over the details with you and invite your friends. If you want to add a few extras to the party to personalize it like we did, it only enhances your experience. 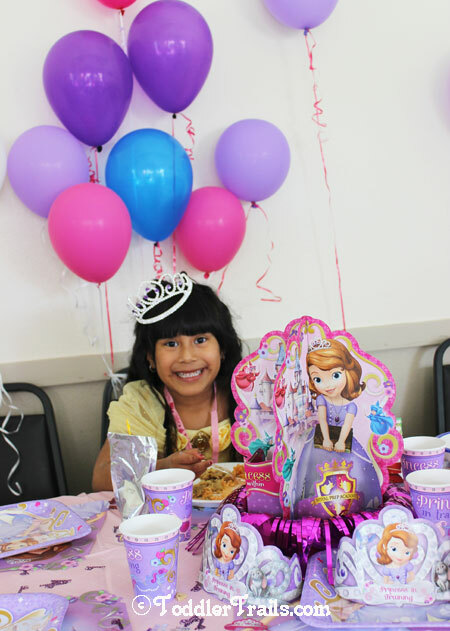 Recently I had the pleasure of surprising one of my daughter’s friends by helping her mom with her Disney Princess Sophia Birthday Party. As a Member of MomSelect, I received a box full of wonderful party supplies to host a Disney Side @Home Celebration that was fit for a princess and her royal friends. My daughter’s friend Ava absolutely LOVES all of the Disney Princesses. In fact, they are part of the Disney family because her father works for Disney. 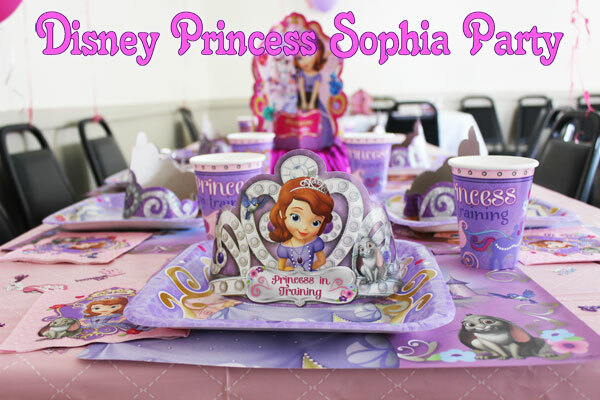 So much to my delight, we were able to help create the ultimate Disney Princess Sophia Birthday Party for one of my daughter’s best friends. Here in Southern California, it seems as there is a party every other weekend, if not every weekend. 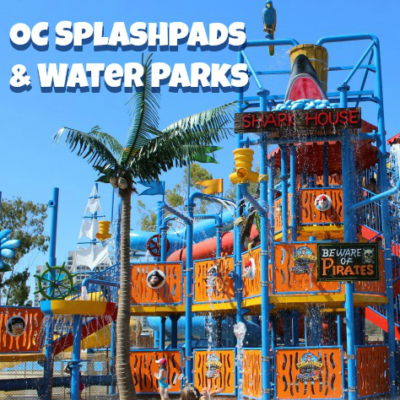 I’m noticing a trend with more and more parties at fun, “family friendly” locations throughout Orange County. 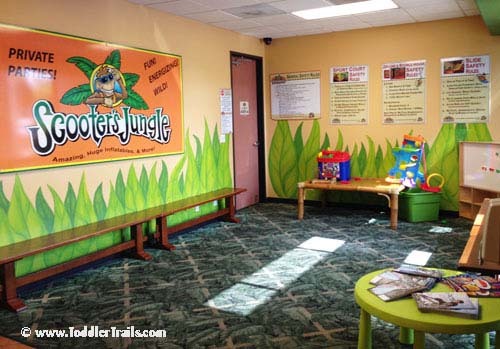 In particular, families are opting for easy party planning at venues like Scooter’s Jungle. 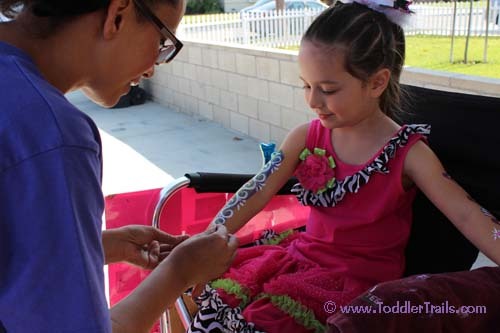 We recently attended a birthday party at the Scooter’s Jungle in Placentia, and had an awesome time. For growing up big, and growing up tall, the Dr. Seuss ABC party theme takes almost no planning at all! Just this last week, my handsome boy turned 7. The years are going so fast (as everyone said they would), but this time, we were extra busy with enrolling him in soccer and now Fall baseball. Typically I enjoy throwing him huge parties at the house, inviting all our local relatives as well as a few (10-20) of his closest friends. Yes, a HUGE undertaking, but this year our schedule didn’t allow it! Thankfully we decided to rely on Pump It Up in Huntington Beach to help us create the perfect celebration for our birthday boy. 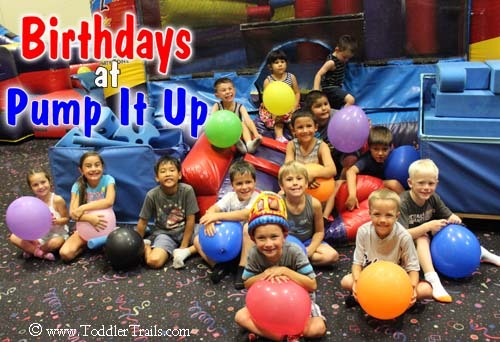 You’ve been to a birthday party or event at Pump It Up, right? It seems now a days, parents are more and more swamped with work, childrens activities and such that we all turn to places like Pump It Up to plan the celebration for us. And let me be the first one to tell you, they certainly make it a “piece of cake”. 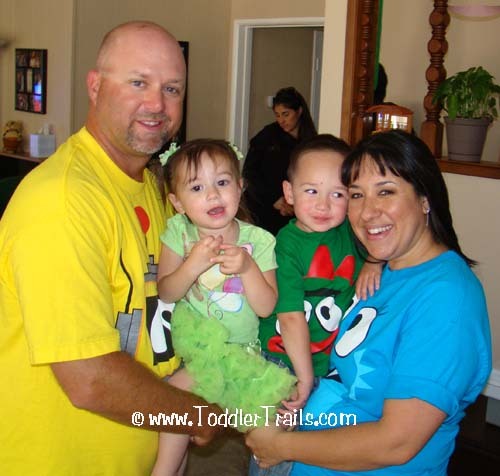 So I as looking back through old pictures the other day and came across my princess’s Yo Gabba Gabba 3rd Birthday party. If you have a toddler, and are a fan of Nick Jr., then you already know about Yo Gabba Gabba. Once my princess saw these crazy fun colorful characters, she was hooked! Therefore we just HAD to plan a Yo Gabba Gabba Birthday Party to ring in her 3rd. For my precious daughter’s 5th birthday celebration we decided to surprise her with her absolute favorite party entertainment: face painting from Susy’s Happy Faces. A great way to entertain the munchkins, Maria from Susy’s Happy Faces decorated our mini party guests with beautiful artistic creations from rainbows to flaming baseballs.